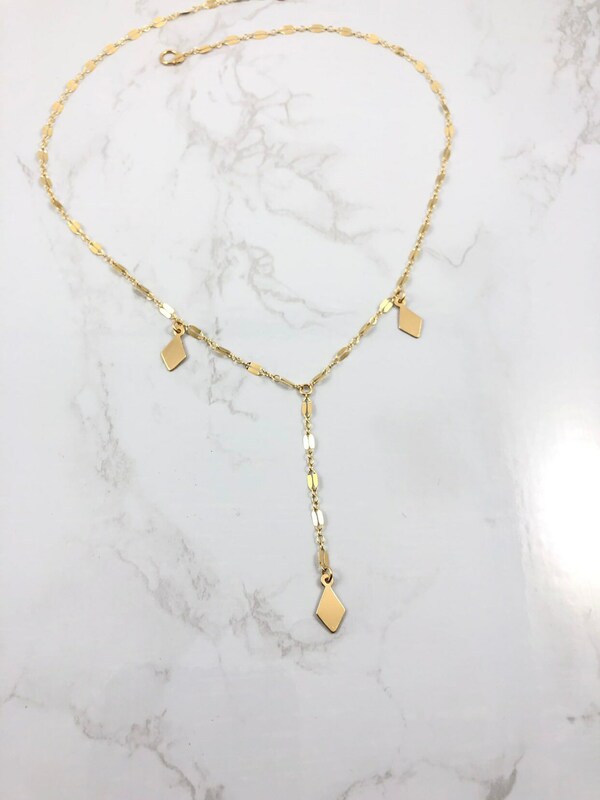 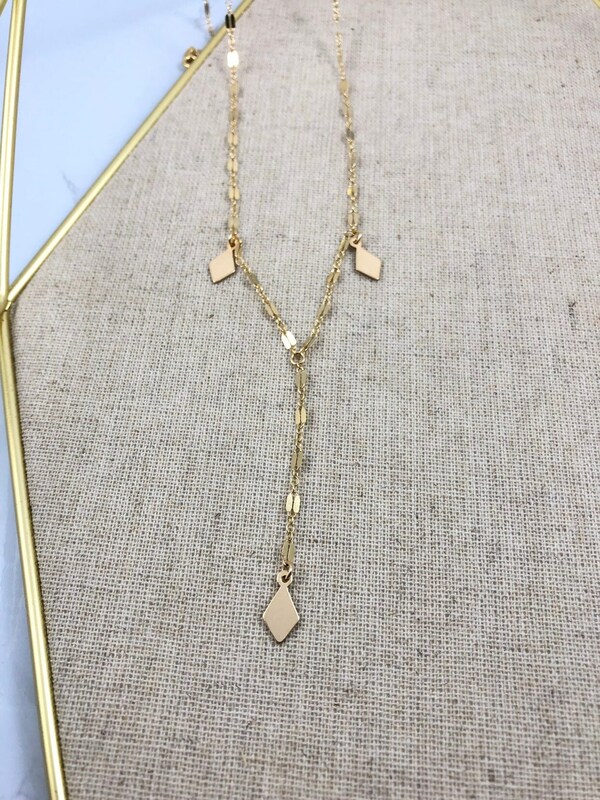 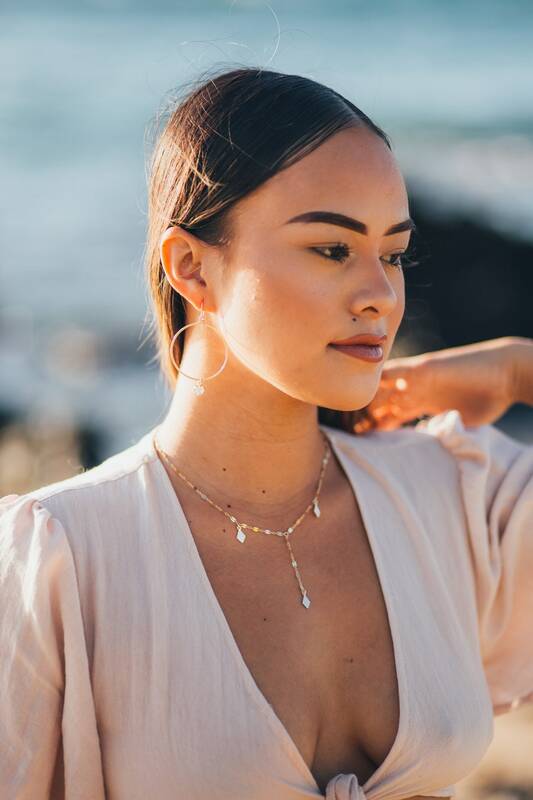 Love this dainty yet bold lariat and choker piece! 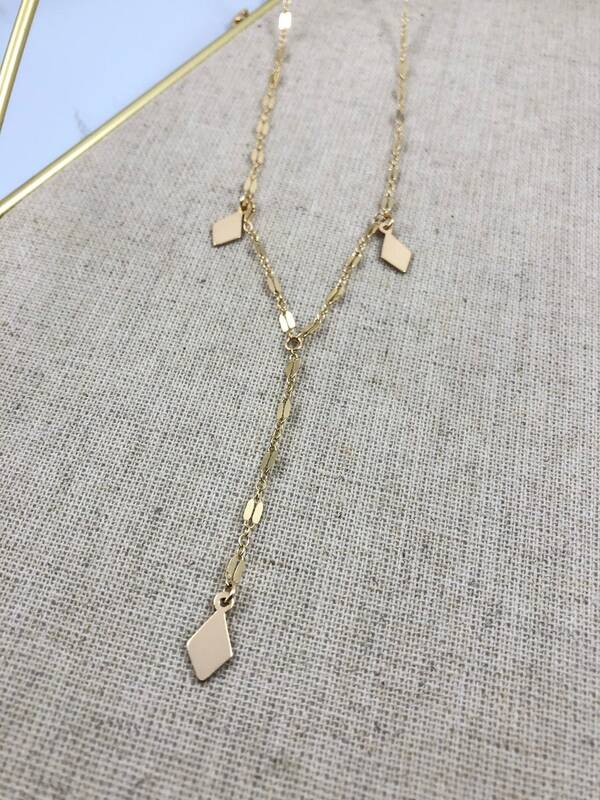 Made with 14kgoldfilled chain and diamond blanks! 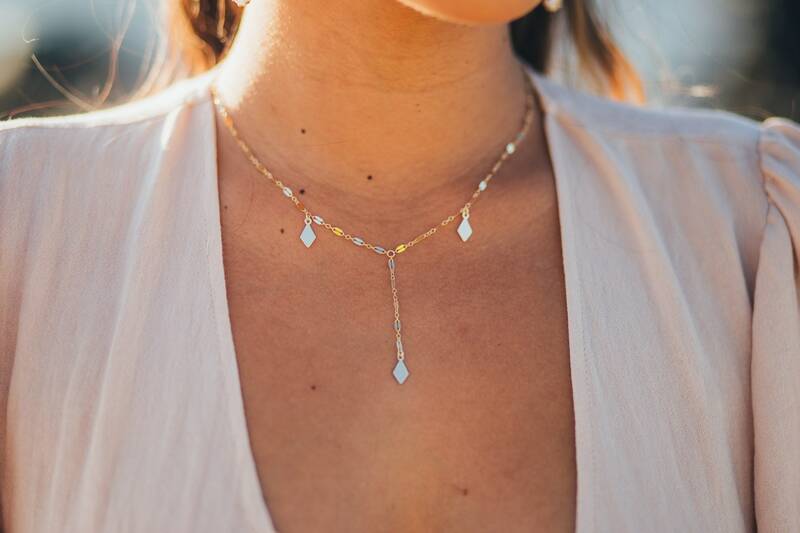 Perfect wear by itself or layer with your favorite jewels!